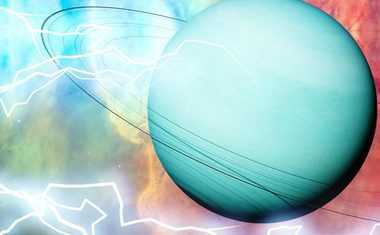 Uranus is known as "The Great Awakener," because he provides us with situations that help shake us into awareness and realize the truths and lies that we’re living. Though Taurus, the sign of the steady Bull, urges us to resist change, Uranus doesn’t like us to get too comfortable, because that’s when we become complacent. It’s a planet that forces us out of our comfort zones and encourages us to change for the better. While Uranus moves through grounded Taurus, it can rock our foundations in the areas Taurus rules: our finances, material possessions, and even our self-esteem. 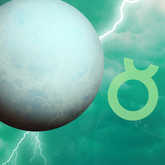 Taurus is a sign that likes things steady and stable, and isn’t the best at handling big, sudden changes ... but big, sudden changes are what Uranus is all about! Taurus would prefer to stick to the status quo and keep doing things the way they’ve always been done. The problem is, the old ways aren’t always the best ways. Even if we are resistant to the changes Uranus in Taurus brings, we have no choice but to go along for the ride, and, chances are, we’ll realize in the end that these changes brought us to a much better place. Money is Taurus’ main area of expertise, so while Uranus is in Taurus, we can expect some very revolutionary ways of handling and dealing with money, both nationwide and worldwide. During the seven years Uranus will spend in Taurus, brand-new forms of currency may arise, banks and banking could come to a halt or change dramatically, and the housing and stock markets may be in for a major shake-up. 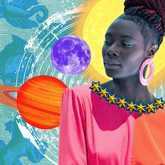 On a more personal level, Uranus in Taurus encourages us to break free from the grips of money: debt, taxes, credit card interest, rent, and mortgages are all things that can prevent us from saving money or using it the way we want to. We may also feel trapped by our material possessions in general. During this transit, we must be ready and willing to change our relationship to money and materialism -- we no longer have a choice. 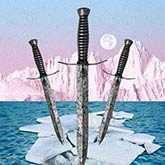 Uranus is here to liberate us, and digging in our heels and resisting won’t make things any easier ... and won’t stop these changes from happening. The changes we make during this period can actually help bring us to a point of greater stability, and can be very long-lasting. Things get more personal when Uranus is retrograde in Taurus, which happens about five months out of every year. This is a time when we aren’t as concerned with money as we are with value -- the things we value personally and, especially, our own self-worth. 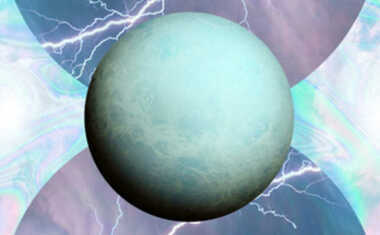 When Uranus is retrograde, the shocks and surprises he normally brings from the outside instead come from the inside. We are faced with personal revelations that lead to personal revolutions. Uranus Retrograde in Taurus will present us with opportunities to realize our own value and what we have to offer the world. While we may often feel that we aren’t worth enough or don’t provide enough, Uranus’ retrograde in Taurus wants you to break free from this negative thinking and realize you’re worth more than you think. If you were born while Uranus was in Taurus, you are not one who likes to rock the boat. You realize the benefits of stability and persistence -- sometimes to a fault. You can be very resistant to major changes, preferring to stick to your long-held beliefs and methods, even if better options come along. When you do make a change to your life or behaviors, it is not a sudden change -- you put a lot of time into thinking about the changes you want to make, and therefore the changes you do make are practical and long-lasting. With your Uranus in Taurus, you may sometimes feel confined by rules and regulations. While you aren’t a rebel at heart, every now and then you want to branch out and do something really different, but instead choose to stick to the existing way of doing things. Though this can help you maintain stability and a dependable reputation, you may be closing yourself off from other possibilities that could become very beneficial to you. Try to balance your reserved approach with an open mind. Discover the hidden truths behind your unique situation with this empowering 6-card Tarot spread. Your definitive Astrology! 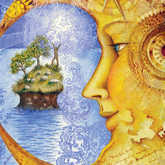 Get your complete birth chart and learn how all the planets influence you with this detailed and personalized report. This Celtic Cross Tarot Reading utilizes 10 Tarot cards to provide in-depth insight and guidance for any situation in your life.